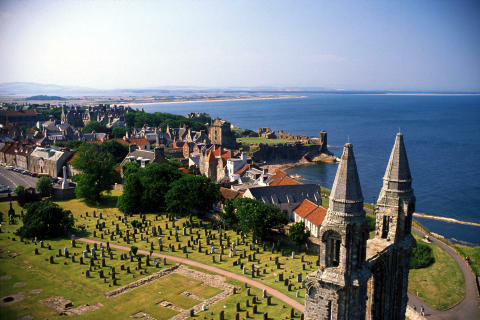 St. Andrews where the university is making moves to become carbon neutral for energy production. Moves to make Scotland more ‘green’ will be put in the spotlight at a Perth event to help boost the country’s multi-million pound business events sector. InnovateRenewables, organised by VisitScotland Business Events, will hear from experts in renewables and sustainability on Scotland’s place as a global leader in renewable energy innovation and production. The free event will take place at Perth Concert Hall on 31 May. 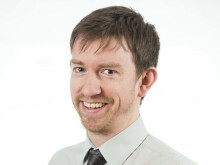 Dr Darren McCauley, a senior lecturer in Energy Policy and director of the Arctic Research Centre at the University of St. Andrews will speak at the event and cite the university’s sustainable development across its operations, as it seeks to become carbon neutral for energy production. Through the Salix energy investment fund the university has committed £4.4 million to energy efficiency measures across its campus, with another £5.1 million to be invested over the next 18 months. The fund is the largest and most successful in the UK higher education sector. InnovateRenewables will also hear from Claire Mack, Chief Executive of Scottish Renewables, on the benefits of renewables to business and the community. The event is part of the Innovate the Nation free talk series, by the business events team at the national tourism organisation, which provides a networking opportunity for academics and the business events sector and the potential for future collaboration on business events. The focus on renewables coincides with the theme of VisitScotland Business Events’ digital campaign Legends during May and June, which will examine Scotland’s innovation in the energy sector. Innovate the Nation brings together experts, influencers and the next generation of pioneers and innovators in a series of engaging talks throughout the country, exploring the incredible innovation taking place across the country. Previous talks include InnovateDigital, InnovateRobotics and InnovateFilm. Legends showcases Scotland’s legacy of invention, research and knowledge through its current experts and influencers, to the associations and wider Meetings, Incentives, Conferences and Exhibitions (MICE) market, in a bid to encourage more organisations to choose Scotland to stage business events. Sian Williamson, VisitScotland Business Events, said: “We are excited to be hosting our first Innovate the Nation talk for 2018 at Perth Concert Hall with two incredibly engaging speakers who are experts in their field. We need our local experts and industry champions to work in collaboration with us to help us bring the world’s very best events to Scotland that will contribute to Scotland’s future success and continuing world renowned innovation legacy. Claire Mack, Chief Executive of Scottish Renewables, said: “Scotland is already leading the way in renewable energy – but we can do so much more. “When it comes to green energy, our weather is our strength. Capturing sustainable energy from our winds, rainfall, longer daylight hours and more is already creating economic and environmental benefit across the country.